Defender Ben Wyatt joined the defensive ranks at Clarence Park after leaving National League South Promotion winners Braintree Town. The left-footed full-back helped ‘The Iron’ clinch promotion to the National League Premier and became a integral part of Brad Quinton’s side with 44 sterling appearances for the Cressing Road outfit. Wyatt started his career in the youth ranks of Norwich City in 2010 and was a key player for his hometown club – starring for the U18s during their victorious FA Youth Cup campaign of 2012/13. A switch to East Anglian rivals Ipswich Town soon followed in 2014 where Wyatt signed professional terms. The young defender found opportunities limited during his time at Portman Road and left to sign for Ryman League side Maldon & Tiptree United just a year later. His exhilarating form for ‘the Jammers’ earned him a path back into the professional game as Colchester United soon came calling with a one-year deal. 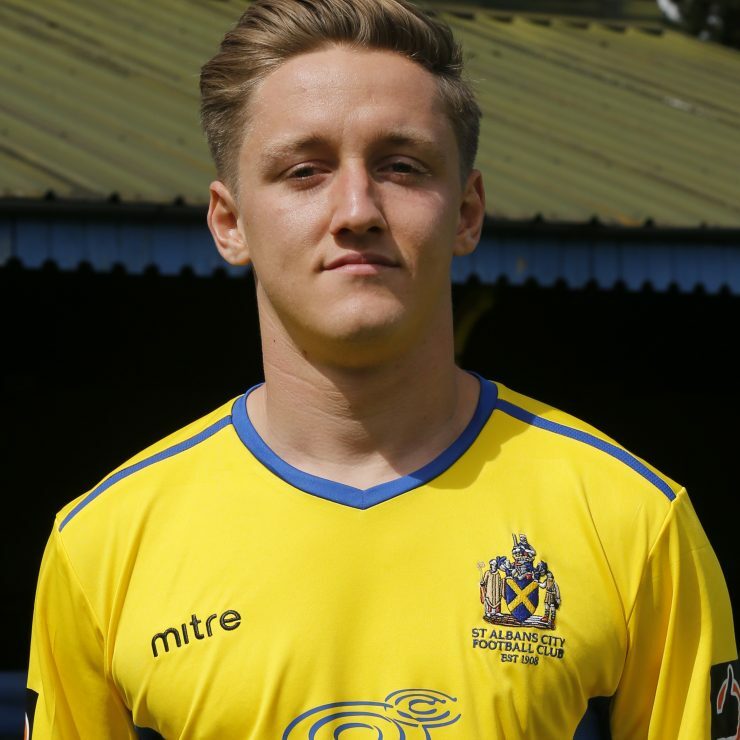 In October 2016 he joined Concord Rangers, initially on loan although the move soon became permanent as he fast became a fan favourite at Thames Road. In July 2017 he was on the move again this time to newly-relegated Braintree Town.